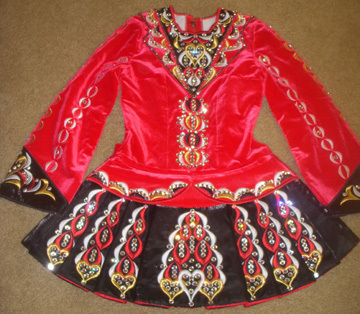 Beautiful Siopa Rince dress with loads of stage presence! 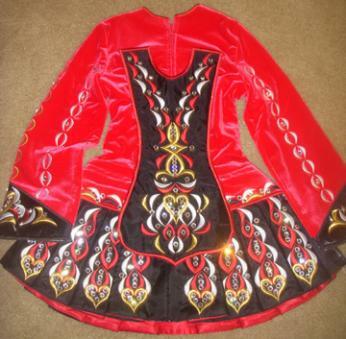 We are the second owners of this dress and it is in beautiful condition. 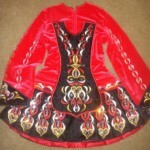 Includes headband, spankies, earrings and the original dress bag that came with the dress from Ireland. There is about 1″ of let down and no let out.